Liver disease is an umbrella term for many diseases that affect the liver. Your liver is the largest organ in your body. It’s found on your right side, just under the bottom of your rib cage. It plays an important role in your survival and you must have a liver to live, although you may be able to live with a partial liver. This is because the liver actually has the ability to regenerate or grow back if not too much of it is damaged or removed. Certain liver diseases, such as cirrhosis of the liver, can increase your risk of developing and infection and sepsis. 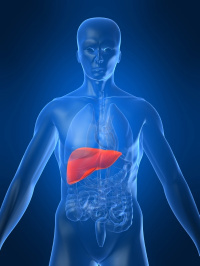 In cirrhosis of the liver, the liver tissue begins to break down or deteriorate. This previously healthy tissue is then replaced with scar tissue. The scar tissue doesn’t allow blood flow through to the still healthy parts of the liver. The damaged parts of the liver may regenerate in the early stages of the disease.However as the damage increases, the liver’s ability to fix itself drops until it can’t do so any longer. How do you get cirrhosis of the liver? There is no cure for cirrhosis of the liver but it can be managed if the damage to the liver tissue isn’t too severe. Lifestyle changes may be suggested to prevent further progression of the disease and medications may be prescribed to treat symptoms or complications caused by the cirrhosis. There are types of cirrhosis of the liver that can’t be prevented, but the type that is caused by long-term alcohol abuse or drug abuse certainly can. In most cases, hepatitis could also be prevented. To avoid developing hepatitis, ensure you have up-to-date vaccinations for hepatitis A and B. Healthcare workers must be vaccinated against hepatitis as they are frequently exposed to body fluids that could be contaminated. Don’t share needles. Don’t share personal items, such as toothbrushes, particularly if the other person has hepatitis.